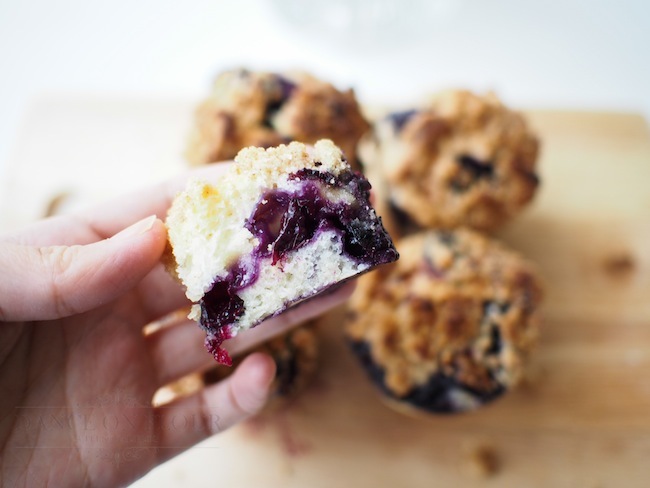 Muffins are something too common that gives people the idea that everyone can make it if there is an oven nearby. The impressions are implanted where you can easily smell a muffin from the cafe down the street and tell what flavour it is. 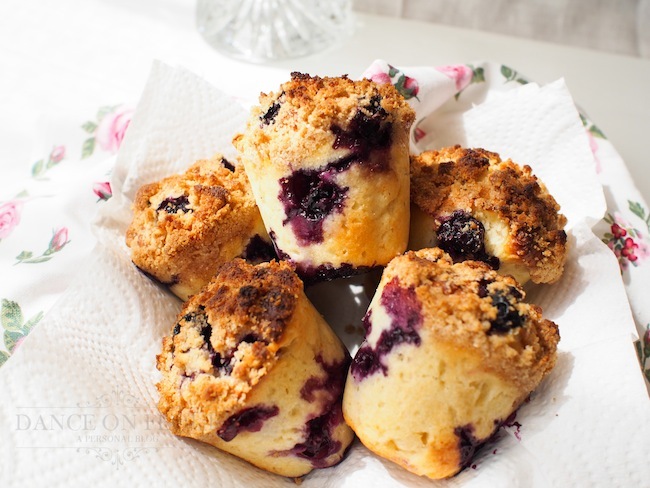 If I am in a hurry in the morning, I'd always go for a blueberry muffin. Chocolate, carrot and walnut are also my favourites. 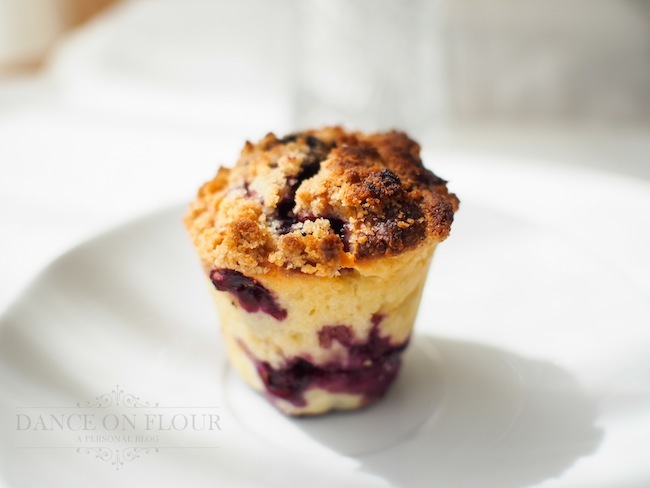 But only blueberry muffins call for a quick yet fulfilling breakfast. Nothing fancy. But you'll never get bored of it. 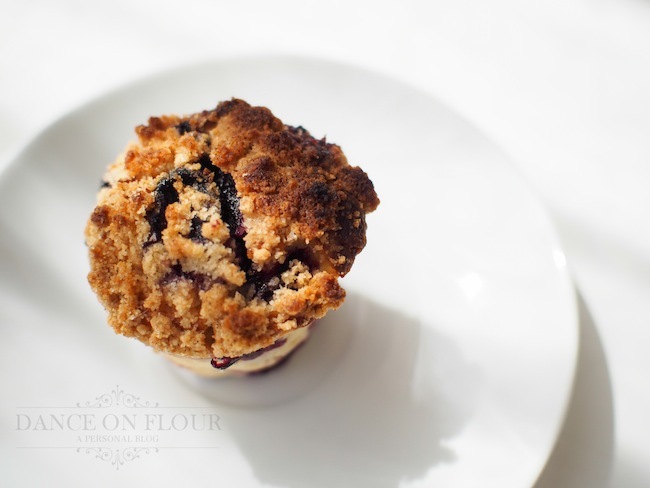 What I love more about homemade blueberry muffins is that I can greedily top them with an evil layer of streusel. The crispiness and sweetness of cinnamon and brown sugar really bring these bad boys into a whole new level. 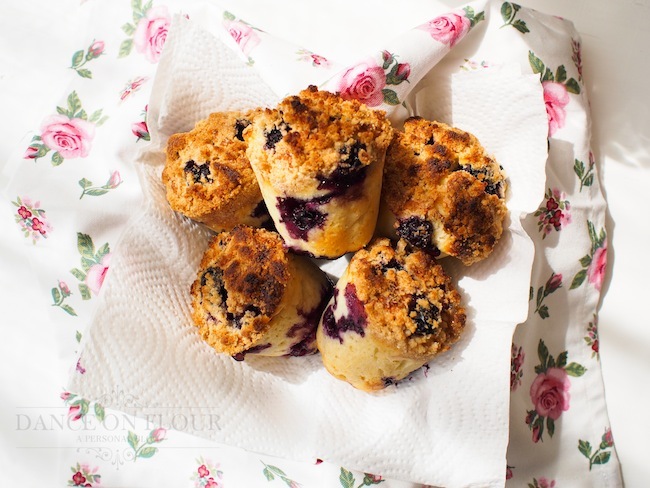 Not to mention the heavenly smell that comes out from the oven when they are freshly-baked! Seriously, you don't need no home fragrance. Preheat oven to 375F / 190C. 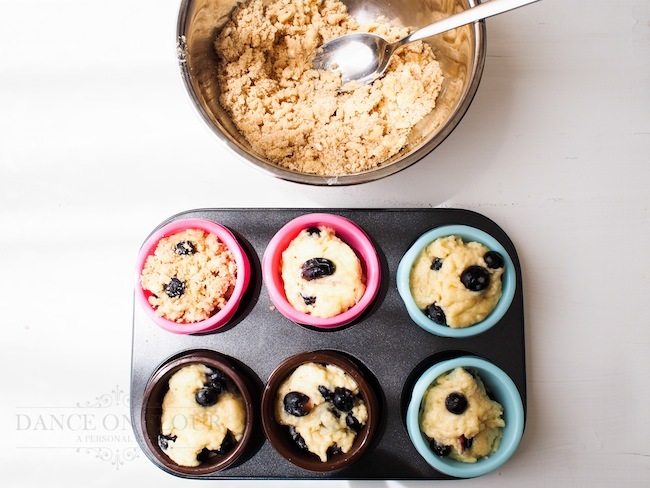 Line your muffin liners on a muffin baking tray. 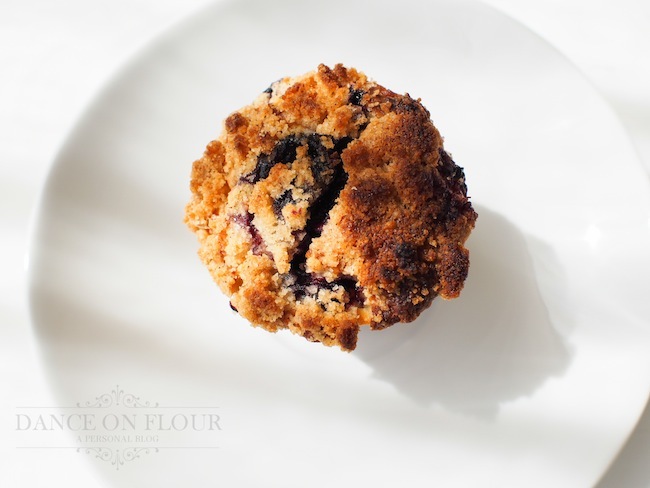 Combine flour with baking powder and salt in a mixing bowl and stir until combined. 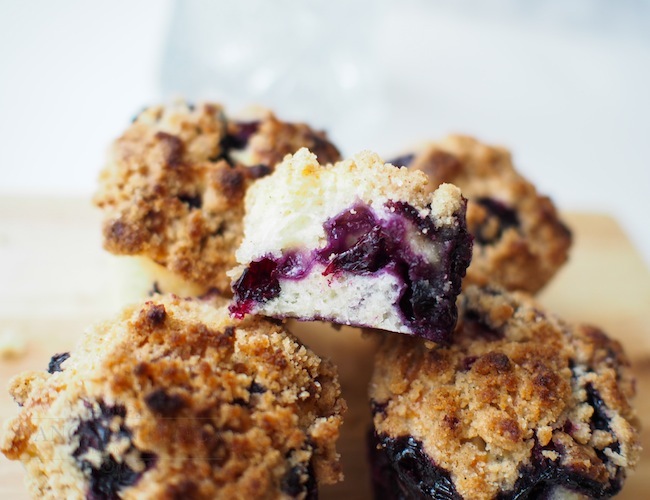 In a large bowl, beat butter with sugar until light and fluffy. Add beaten eggs one at a time. Mix well. Add vanilla and lemon zest. Mix well. 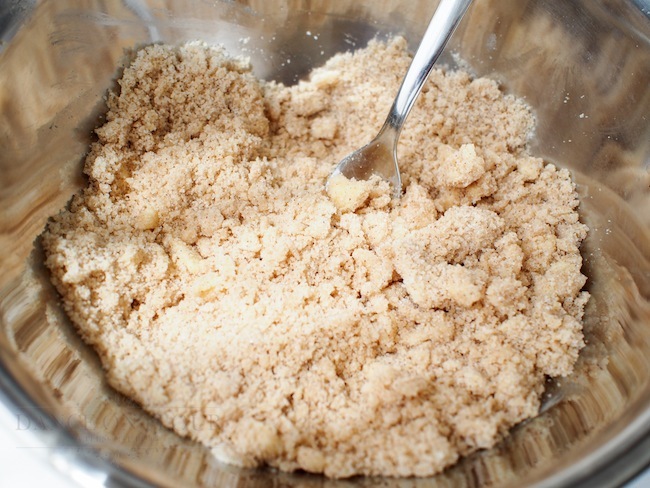 Add dry ingredients alternately with milk. 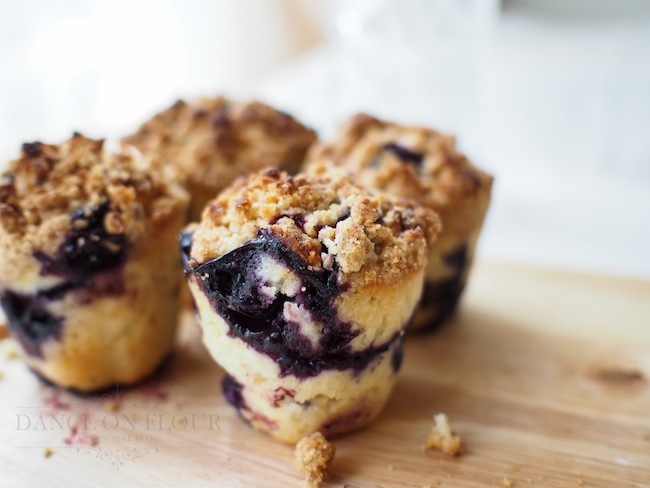 Fold in blueberries gentle. Do not overmix. 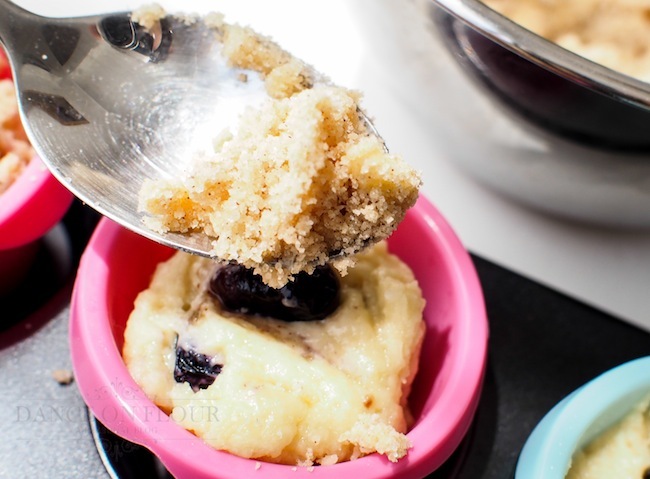 Scoop batter into muffin liners with a ice cream scooper. 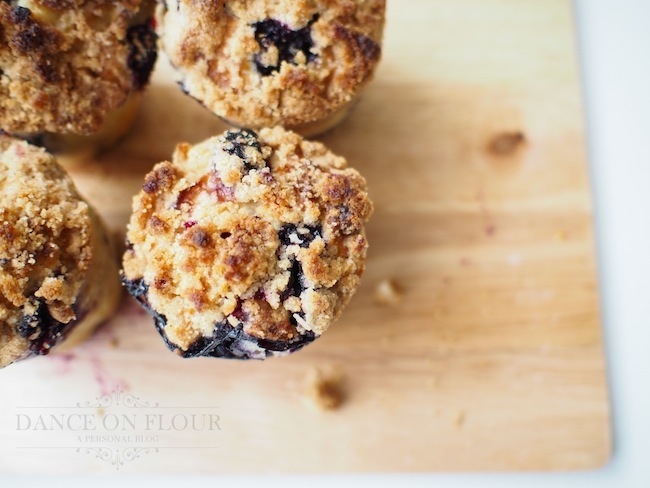 For the streusel topping, combine flour, brown sugar and cinnamon in a small bowl. 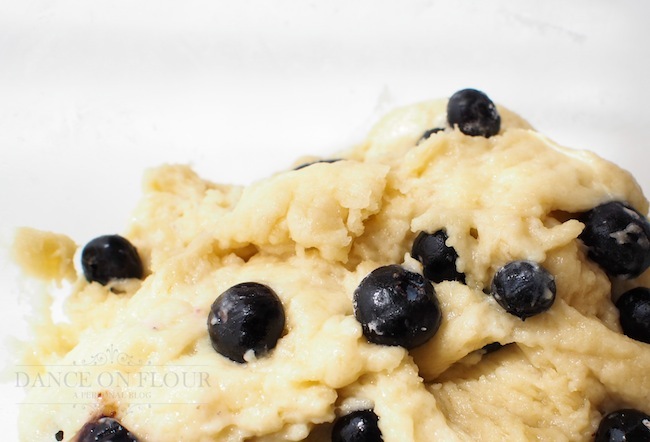 Cut in butter with fork or pastry blender until mixture becomes crumbly. 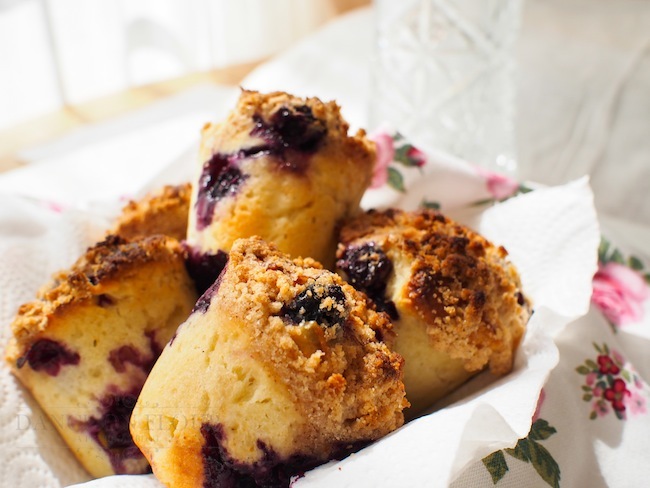 Sprinkle streusel over batter in muffin liners. 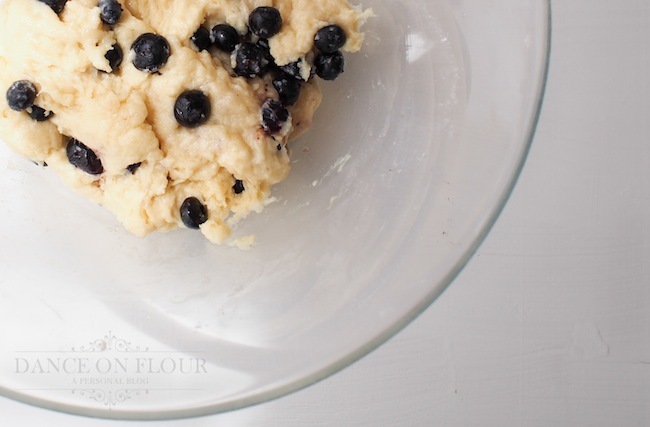 Bake for 18-20 mins. Allow cool after remove from over. Serve in 5-10 mins.